Available under Public Works tab and also in the Village Office. The Village of Vermontville Planning Commission, with Council approval, presents the 5 Year Master Plan Review update. Minor changes have been made to meet current state requirements. Hard copies of the plan are available at the Village Office, 194 South Main Street, Vermontville. Any comments may be forwarded to the Village Clerk at clerk@vermontville-mi.gov on or before March 31, 2017. Council meetings begin at 7:00 pm, on the 2nd Thursday of the month (unless otherwise noted*) at the Village Office, 194 South Main Street, Vermontville, MI. The Village Council has an open Trustee seat and would like to appoint someone to fill the position. Leaf Pick up will begin October 24, 2016 and ends November 30, 2016. 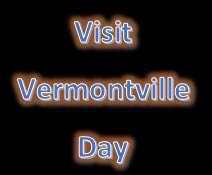 Join us for the 1st Annual Visit Vermontville Day on Saturday, August 20, 2016. 8am – Community Garage Sales – You may sign up to have your address included on a flyer that will be distributed at the garage sales. Please call or visit the village office if interested. 10am – Fire Department water ball tournament @ Village garage-134 Eastside Dr.
10am to 4pm – Museum and Maple Manor open to the public. 11am to 1pm – Village Council Meet & Greet at the park. Join us for free hotdogs. 4pm – Car Cruise In on Main St.
5pm to 9pm – Double Wide Ride band with street dance at the Main St stage. Please visit Vermontville United Methodist Church’s Facebook page for more information. The Village of Vermontville Planning Commission has 2 open seats. Monday, May 30, 2016 – Vermontville’s Memorial Day events will begin with a service at the bridge at N. Ionia Rd and Nashville Hwy at 9:30 a.m., followed by a parade and a service at Woodlawn Cemetery. The Village Council would like to appoint someone to fill a vacant Trustee seat until the November 2016 election.